Summers in Japan often feel like standing in the middle of a sauna while wearing a heavy woolen coat. With temperatures often exceeding 37 C (100 F), it’s no wonder that the Japanese language even has a special word to describe the feeling of weariness from the country’s summer heat: natsubate. And anyone who’s tuned into a Japanese radio station in July or August has probably heard the ubiquitous phrase “Atsui, ne?” meaning “Hot, isn’t it?” which is repeated year after year on the airwaves almost like a religious mantra. However, it wasn’t always like this. Back during the Heian period (794–1185), a time slightly before the invention of air conditioning, the courteous thing to do was to not talk about the summer heatwave. In fact, a lot of the summer-themed writing from that time tended to focus on ways to keep cool, like by taking a dip in a spring … or even eating a shaved ice treat. 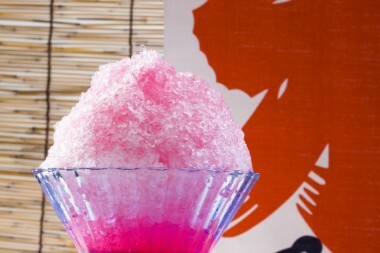 Shaved ice, known in Japan as kakigori, is a soft and fluffy ice dessert sometimes topped with condensed milk or ice-cream, but most often flavored syrup. It’s so popular that, in the summertime, it’d actually be harder to find a place that doesn’t serve kakigori as the treat is sold everywhere from convenience stores to specialized kakigori parlors, street stalls and restaurants. It’s also routinely prepared at home by entire families seeing as the name “shaved ice” is basically the dessert’s entire recipe. In fact, prior to World War II, most Japanese households owned a collection of korikoppu, special glassware for serving homemade kakigori. 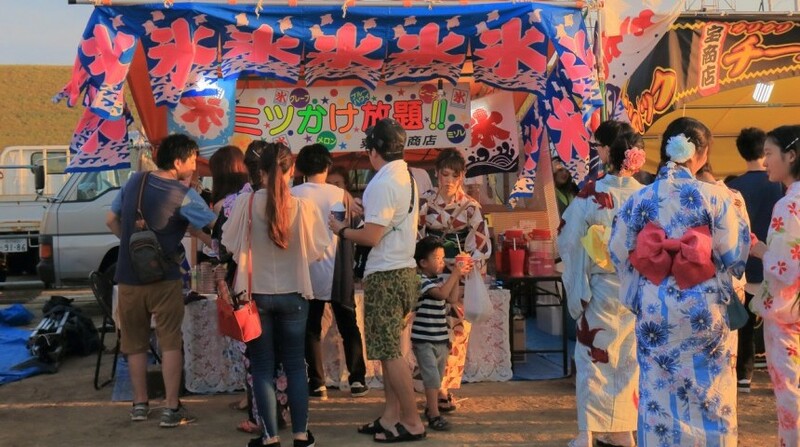 But as mentioned before, the history of kakigori can actually be traced back to more than a thousand years ago. The first recorded mention of kakigori actually comes from Makura no Soshi (The Pillow Book), a collection of observations of aristocratic life in late 10th-century Japan. It was composed by Sei Shonagon, a court lady in the service of Emperor Ichijo’s royal consort. In chapter 42 of The Makura no Soshi, there is a mention of a dessert where ice is scraped with a knife into a bowl and topped off with sweet arrowroot vine. But if we look at the history of all topped ice desserts, we can go back even further to around the 4th century when rich Romans used to transport ice from mountain tops to their villas, and eat it with flavored toppings. In any case, for most of human history, shaved ice has been the exclusive privilege of aristocrats with blood as blue as the popular Blue Hawaii kakigori topping. 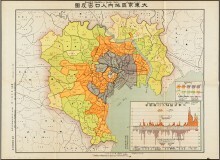 That only changed in Japan in the 19th century, during the Meiji Restoration. As transportation lines around the country improved, it became feasible to transport ice from Japan’s northernmost prefecture of Hokkaido down south, where many hyosuiten (ice water stores) selling kakigori soon began to open. The first one, together with the first Japanese ice-cream parlor, was founded around 1869 in Bashamichi, Yokohama. In later decades, a boom in affordable refrigerators and freezers helped make kakigori a dessert that anyone could enjoy, not just the very rich. That’s not to say, though, that richer, more gourmet version of kakigori don’t exist out there. The Italian restaurant Per La Vita in Shibuya, for example, has made a name for itself with their tiramisu kakigori, supposedly made from ice hauled down from Mt. Fuji. Similarly, the restaurant Hachiku in Ikebukuro claims their kakigori is made from natural ice shipped directly from Nikko (a mountainous area north of Tokyo.) On the other hand, we have shirokuma (white bear), one of the most popular and more affordable takes on kakigori made from shaved ice with condensed milk, mochi rice cakes, red bean paste and a variety of fruit. 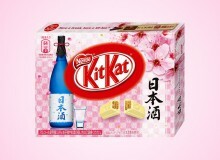 It originated on the island of Kyushu, but is now available in convenience stores all over Japan. Whatever your preference may be, there are plenty of kakigori variations and flavors to choose from. 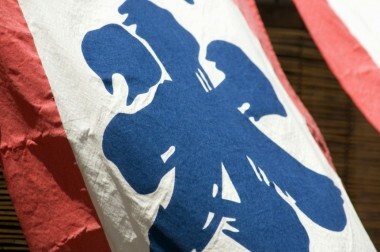 So the next time you find yourself at the mercy of Japan’s blazing summer, just look for that familiar white-and-blue flag with the red character for “ice” (氷) on it, advertising that the establishment behind it serves cheap and refreshing ways to fight the heat.